So, hopefully you are keeping up and have read the review of San Angel Inn as part of the Candlelight Processional Dining Package that we reviewed. Now on to the main event…the Candlelight Processional. Because we enjoyed the dining package we were able to skip the LONG line (over an hour) and go to basically the fastpass line and head straight on in to the American Theatre. I love not waiting in line…It is worth the dining package because you have to eat anyway and yes, it is more food than normal people order but hey you get extra food and shorter lines – is not that the magic of Disney? If you listen to our podcasts you will know this story but I am going to tell you anyway so you will understand my mindset going into the show. I have no idea why I thought the CP was telling the Christmas story with Santa coming down the chimney and Rudolph and all the other propoganda…but I did. 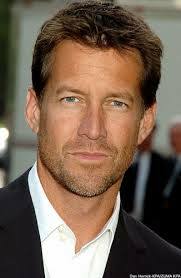 So, when our narrator for the evening, James Denton (who I said? but he was a Desperate Housewife I hear) began reading the Biblical version of the Christmas story, well for some reason this left me off track for a hot minute. I am very familiar with both versions so I adjusted well. The setting was beautiful with the choral singers in beautiful rows, sparkling lights and a beautiful backdrop. I could not wait to start singing. Wait? What? It is not a sing-along (truth be told I only found this out as I was singing along with Silent Night and my neighbors kept giving me mean looks). So the night was not as I thought or planned so I had to go with the flow. I am very good at that so I did adjust but to the merriment of my group of people that had attended with me as they watched me belt out some good Christmas songs. I do recommend the Candlelight Processional, and I hear it is even better if the narrator is someone that is into the show and having fun. Unfortunately, James Denton seemed bored and had his hands in his pockets and just reading the story. So, if you can go with a Neil Patrick Harris type narrator is hosting then you are ahead of the game. I do highly recommend the dining package as it was nice to not wait but to walk right in and I am not sure how I would have felt at the end of the show if I had waited an hour or more. One recommendation to Disney…engage the audience – a little Christmas caroling as a group never hurt anyone.